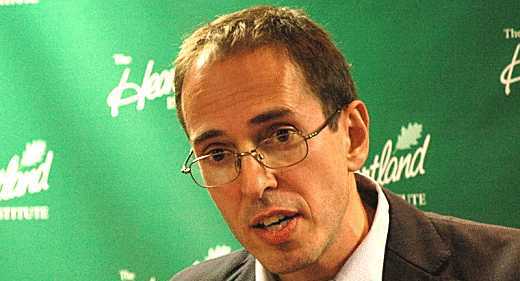 James Delingpole—alive, well and, we hope, undamaged after the efforts of this uppity slayer. Wherein Flaherty is thanked and congratulated, it is explained where Flaherty goes wrong in his criticisms of me, and the reader is reminded of what is still outstanding in connection with NIWA’s Review report. Delingpole gains a mention. Matt Flaherty has been visiting us recently, questioning me about the New Zealand (you can’t believe it’s official!) Temperature Record. Matt wrote recently on James Delingpole and the “denialism” of “climate change.” That tells you where Matt’s understanding lies. Anyone who a) uses the term climate denier, and b) considers that an intelligent person is capable of denying that climate changes, something akin to denying the earth revolves around the sun, demonstrates a voluntary level of ignorance and a lack of incentive to listen. Matt elevates me to dizzying heights, for which I thank him. But I protest I’m unworthy, just an honest toiler for truth, not even in the same league as consummate wordsmiths like James (right about everything) Delingpole.